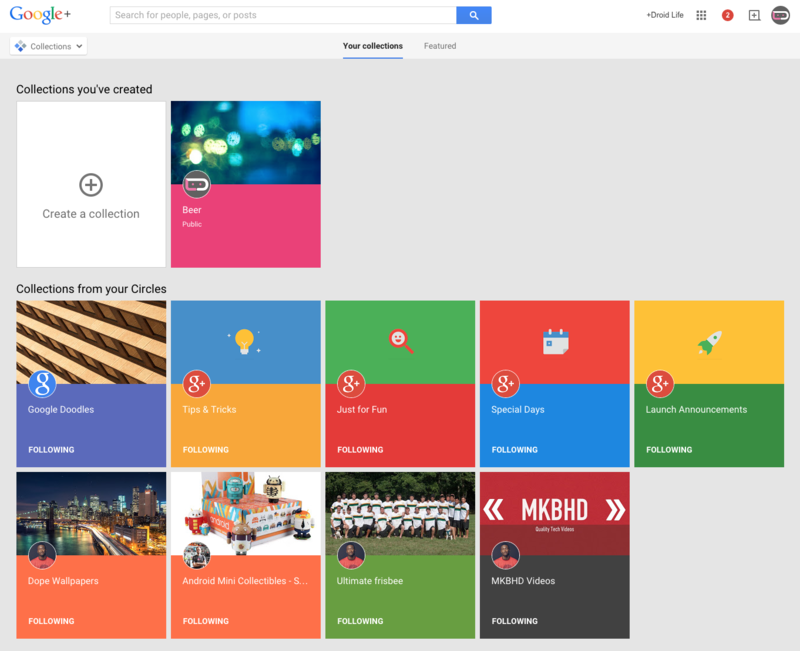 Google+ Collections, the social community’s new topic-based feature that we first broke news on a couple of weeks back, seems to be going live to the general public right now. Our own Droid Life G+ page has been given access to Collections, which you can see above. To check to see if Collections is live for you, head into Google+ and slide open the dropdown menu on the left side and look for “Collections” grouped in with Communities, Events, and Hangouts. You can create a Collection about anything. The idea here is to create a Collection around a topic that interests you, filled with posts from you or others that relate to that topic. It could be videos or pictures or links, whatever. And if you are looking at this like a business, well, you could create Collections to help others better find your work. When you create a Collection, you can customize it. 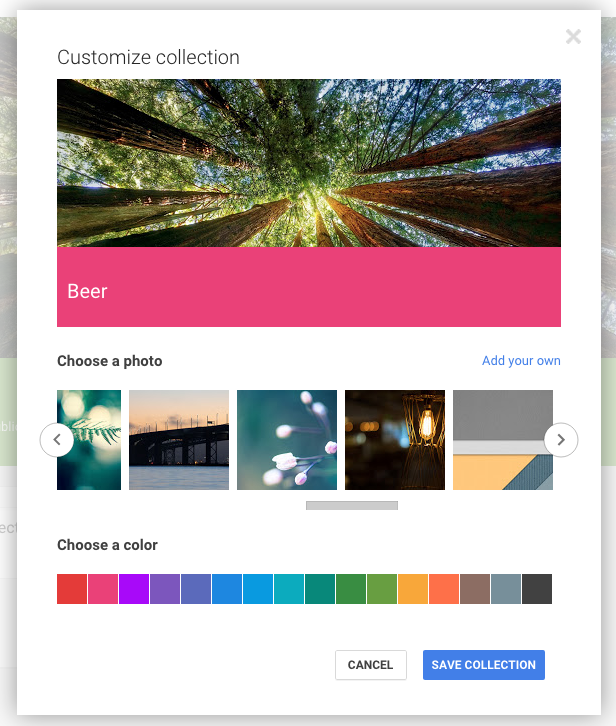 You can set a featured color and a header image that matches up to your Collection topic. 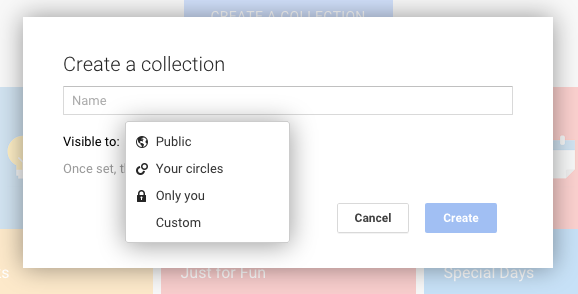 You can set a Collection to be private, available only to circles, you only, or specific, select people. To add to a Collection, you hit the dropdown arrow next to the “share” button of a post and you should see a list of your Collections. 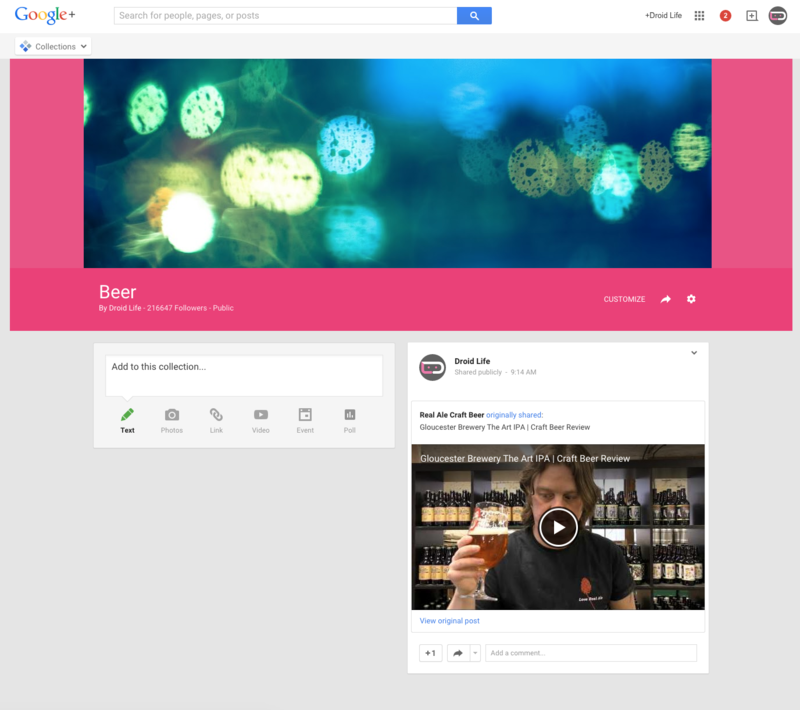 Google has already worked with a bunch of influencers to create G+ Collections that you may be interested in following. In your Collections tab, you will not only see your Collections, but those recommended based on who you follow and also a “featured” section created by those previously mentioned influencers. Here are some images from Collections. 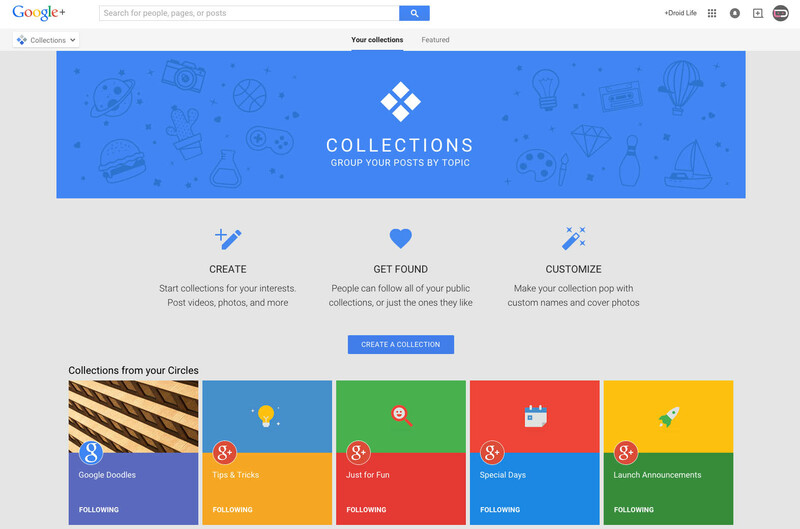 Google has yet to announce Collections, but all of the Collections pages are beginning to go public. We should see official word any minute now.